We never thought we’d say this, but scientific trends in ethics are giving us whiplash by how quickly they are changing. In December, during an international summit on gene modifications, the summit’s chairman said, “It would be irresponsible to edit human sperm, eggs or early embryos in a way that leads to pregnancy.” Cut to this month, and we have news that scientists in Britain have been given the go-ahead to do exactly that: a stem cell scientist was just granted permission “to look at the first seven days of a fertilized egg’s development, from a single cell to around 250 cells.” While the scientist’s lab clarified that these experiments are for research purposes only and will hopefully lead to more successful fertility treatments and reduce miscarriages, it is using a controversial technology that can modify or replace genetic defects — and that is feeding fears about the imminent creation of designer babies with choose-your-own qualities and characteristics. Now that the door has been cracked open for scientists to begin experimenting in this early stage of embryo development, the opportunities for other scientists to toy with gene modifications throughout fertilization and early fetal development look more likely to happen sooner than even members of the scientific world thought possible or responsible. We never thought we'd say this, but scientific trends in ethics are giving us whiplash by how quickly they are changing. In December, during an international summit on gene modifications, the summit's chairman said, "It would be irresponsible to edit human sperm, eggs or early embryos in a way that leads to pregnancy." Cut to this month, and we have news that scientists in Britain have been given the go-ahead to do exactly that: a stem cell scientist was just granted permission "to�look at the first seven days of a fertilized egg's development, from a single cell to around 250 cells." While the scientist's lab clarified that these experiments are for research purposes only and will hopefully lead to more successful fertility treatments and reduce miscarriages, it is using a controversial technology that can modify or replace genetic defects -- and that is feeding fears about the imminent creation of designer babies with choose-your-own qualities and characteristics. 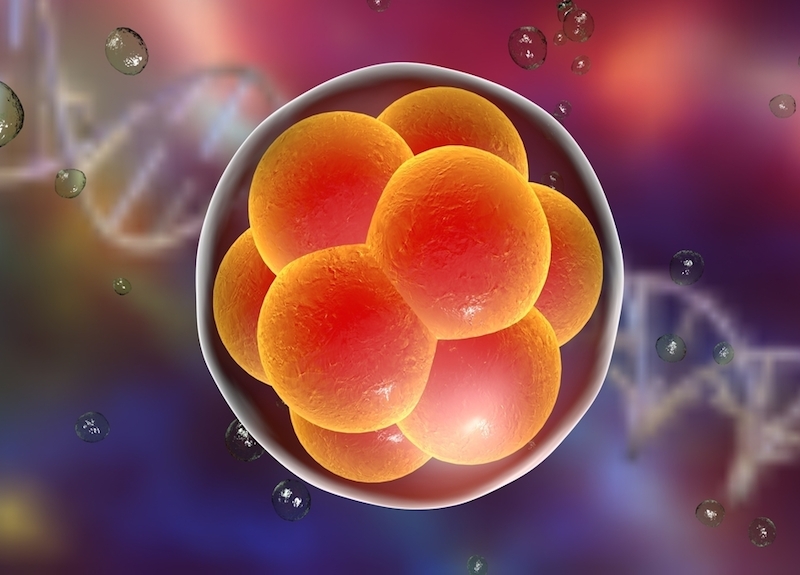 Now that the door has been cracked open for scientists to begin experimenting in this early stage of embryo development, the opportunities for other scientists to toy with gene modifications throughout fertilization and early fetal development look more likely to happen sooner than even members of the scientific world thought possible or responsible.